Before shopping for a new foundation wardrobe it’s essential to decide what kind of finish you like – as in matte, velvet, dewy – and what kind of formula you find easiest to apply. You may love the ease of a liquid longwear by night but prefer a cushion during the day for a more dewy, handbag-friendly option. Your skin type also plays a vital role in your choice of base, and having two different formulas for the warmer and cooler seasons is a veritable no brainer. 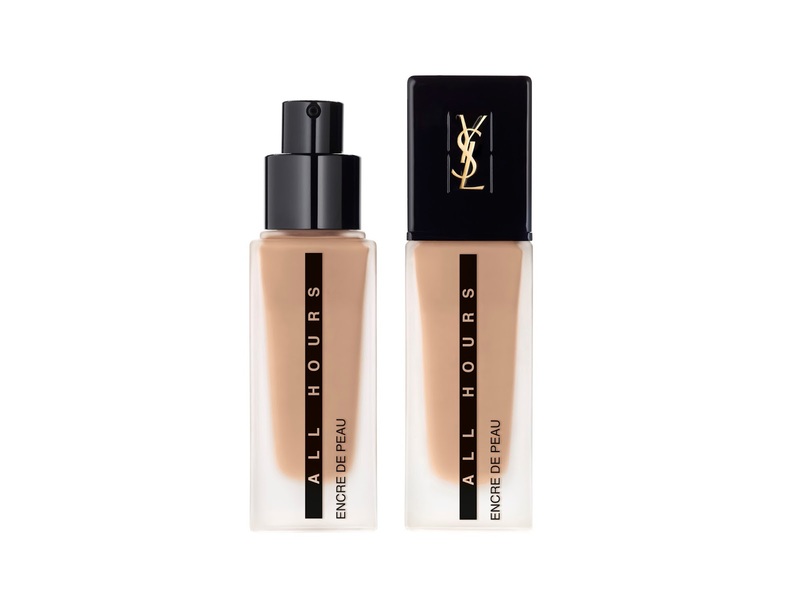 One foundation formula that I believe everyone needs is a light-on-the-face but serious-on-coverage, nourishing longwear, and with the launch of their new All Hours Encre de Peau, YSL Beauté has created exactly that. While you want a formula that‘s sure to provide you with coverage all day long, these days you can also find a formula that will nourish your skin at the same time – and this newbie does all that, and more. 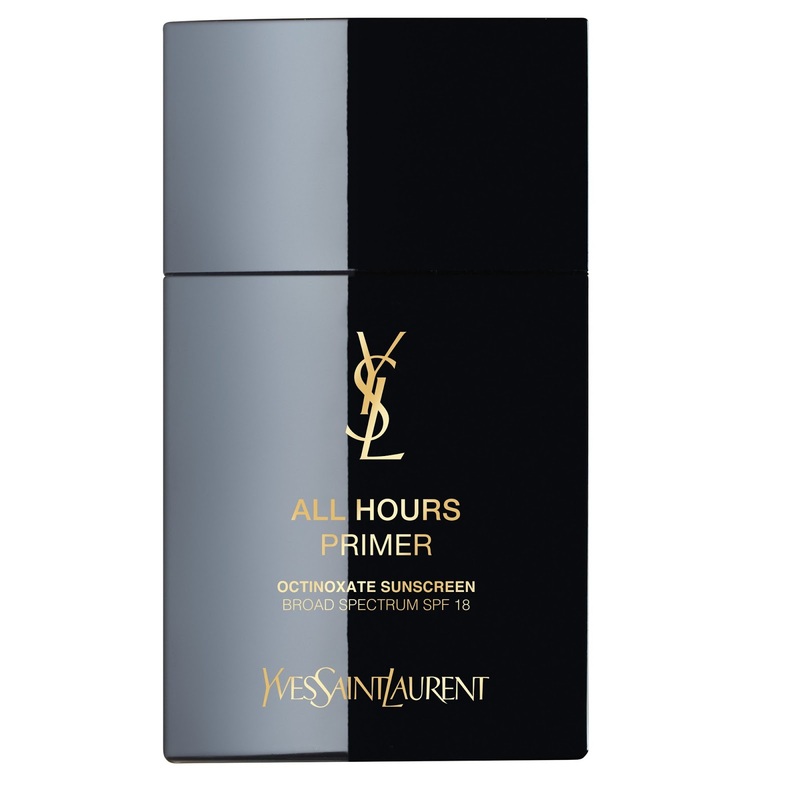 Designed for a flawless matte face and a perfect complexion, 24/7, it’s a lightweight marvel that comes smartly dressed in a sharp-suited bottle that echoes the classic YSL tuxedo. It goes on like velvet, and with a waterproof and transfer-resistant finish, it’s instantly addictive. It uses a rich level of fine pigments to create a flawless, fresh and full coverage that lasts 24 hours, and even has a gloriously soft-focus finish thanks to spherical-shaped silicon resin. If your skin is on the drier side like mine you’ll appreciate the latter, as many longwear formulas draw attention to it rather than away. 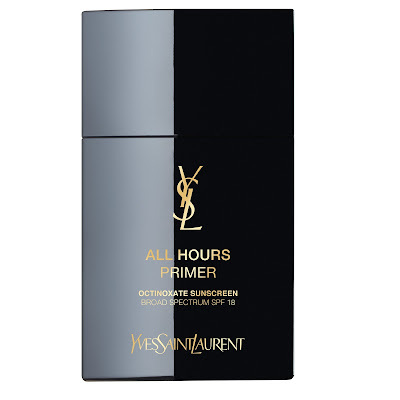 Thanks YSL Beauté! It’s thanks to a special long-wear resistant polymer, rich in perlite, that the foundation lasts through non-stop activity all day and all night long, and it also contains skin conditioning complexes with antioxidant benefits to improve skin texture and keep it protected from urban aggressions. Kombucha, the fermented black tea extract, improves luminosity, and an SPF 20 helps to future-proof the skin. It also comes in 22 options from light to dark, so has one heck of a lot of complexions covered. The brand has also created La Base Encre de Peau, a perfect primer to guarantee your matte, crease-free complexion will end the night the same way it started the day. It comes in a slick, black bottle and helps minimise pores and more, and can be applied with fingers or a brush. The formula includes aerogels, like micro-sized bubbles of moisturizing gel, which allow the skin to breathe while absorbing any oiliness, and smooth rolling beads allow the formula to spread uniformly over the skin, love that! There is also a new sponge and a concealer in the ALL HOURS collection, which landed on counters today.